Claims cost you time, money and energy. The security our door and window guards provide enables you to move faster while reducing setbacks like additional damage and theft-related claims. When you’re repairing a property after a claim, you always want to reduce the risk of costly damages. By securing the property with our window and door guards during the rehabbing process, you minimize the risk of unauthorized persons accessing the area, as well as keeping the overall number of claims down. The longer it takes to settle a claim, the more it costs you—protecting yourself with DAWGS speeds up the process. Effective claims response is good business. When you protect the property with DAWGS window and door guards, you enable yourself to settle claims faster and keep clients satisfied. 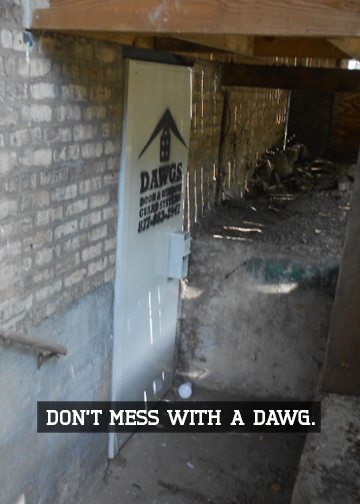 At DAWGS, we work with insurance companies big and small to come up with cost-effective security solutions. Because our security strategies are customized for every individual case, you always get the most cost-effective solution for keeping your property safe during the rehabbing process. Because this is a time-sensitive business, our rental services and installation teams move quickly to get your DAWGS door and window guards in place, and remain at your disposal throughout your repairs. Click here to contact our rental services department and learn more about your options, or call us at 1-877-88-DAWGS (32947).